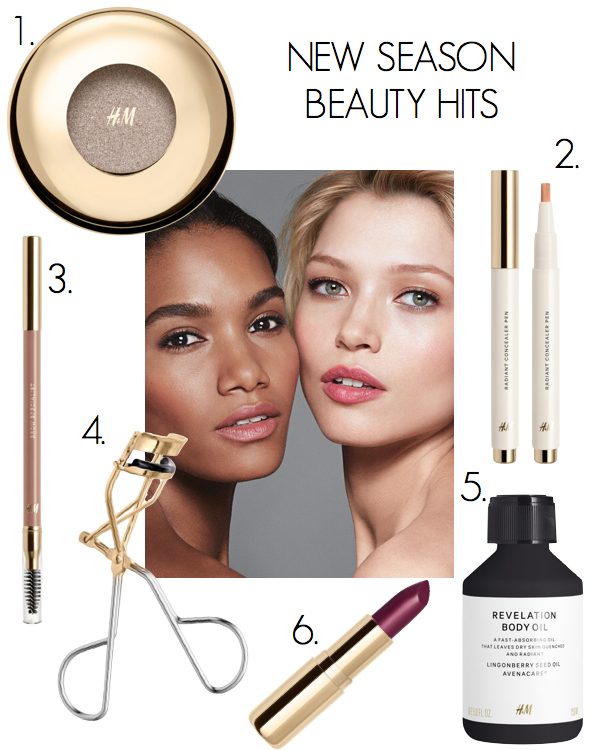 Exciting news ladies, high street favourite H & M have just launched a new look and new season H & M beauty range that’s really rather good. Utterly desirable yet still purse friendly, big brownie points for the stylish metallic packaging which gives these beauty bargains a luxe look. If you’re a bride saving up for that dream Wedding you don’t need to compromise on an Autumnal beauty bag refresh. I’ve picked out my new season must-haves below. As a new, sleep-deprived mum I need a little something to trick the World into thinking I’m bright eyed and bushy tailed. Popping a little eyeshadow with added sparkle under my bottom lashes and in the inner corner of my eyes gives that little boost I need. Beauty editors and bloggers are raving about this one, a high street hit to rival the award-winning Touche Eclat. I have to admit to being rather useless when it comes to concealer but these dark circles are screaming out for a disguise. A quick click of concealer pen will hopefully do the trick. I never got along with brow mascara or creams with special brow brushes, all too much of a faff. With a pencil I feel in control and able to build colour and shape into my blonde brows. One beauty tool I can’t do without but admittedly am always losing or forgetting. Given how cheap these gold numbers are, I think I’ll get two so I cover my home and handbag beauty bases. This year I’ve definitely joined the oil slickers – my beauty routine has been transformed with facial oils replacing sticky moisturisers, oil make up remover doing the job of 2-3 wipes and oil based foundation giving my skin a fresh glow. Now the Winter is coming and parched skin season is upon us I’m going to experiment with body oil too. Fast absorbing sounds perfect for my ‘must-be quick’ morning routine. I know I’ve been banging on about berry shades for months but it’s such a flattering look for all skin tones. And also easy to mix with pinks or deeper plum shades for that illusive ombre look favored by the likes of Kylie Jenner for a faux plumped pout.